December was a weird one for me, I was mainly working, socialising and making Aurelia’s present. It was actually hard to come up with 10 favourites but thinking back I have managed to and here they are, completely random as always. But then a favourite can be absolutely anything right? So first of all, well these two can tie into one really but I have been loving crafts and being creative. I have made many a thing and sold some too. 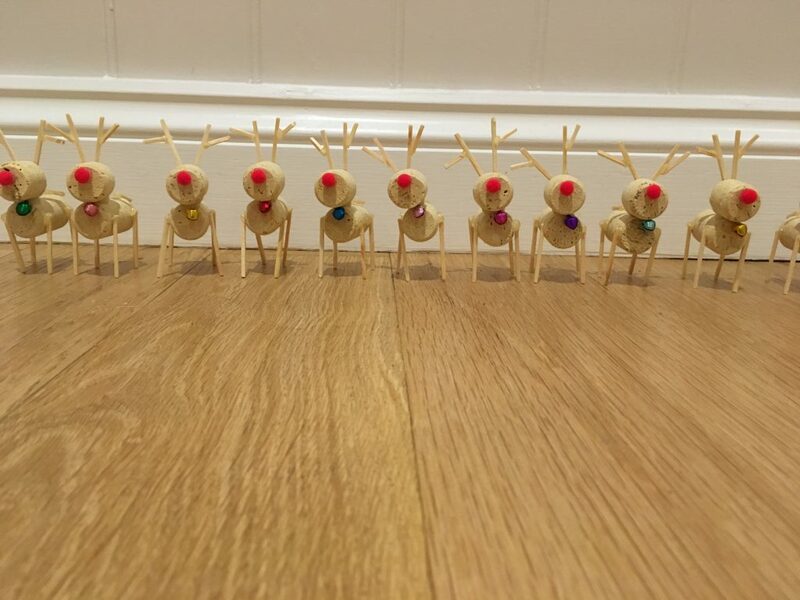 Blankets to Christmas Plates to Cookie Jars and Cork Reindeer. I love it! December really wasn’t the best month let me put it that way. It could of been better but never the less, the crafts I made on a personal level and gave them to my friends children, really brought that love of creating, gifting and seeing them so happy and excited. Just brought so much love back into my heart. 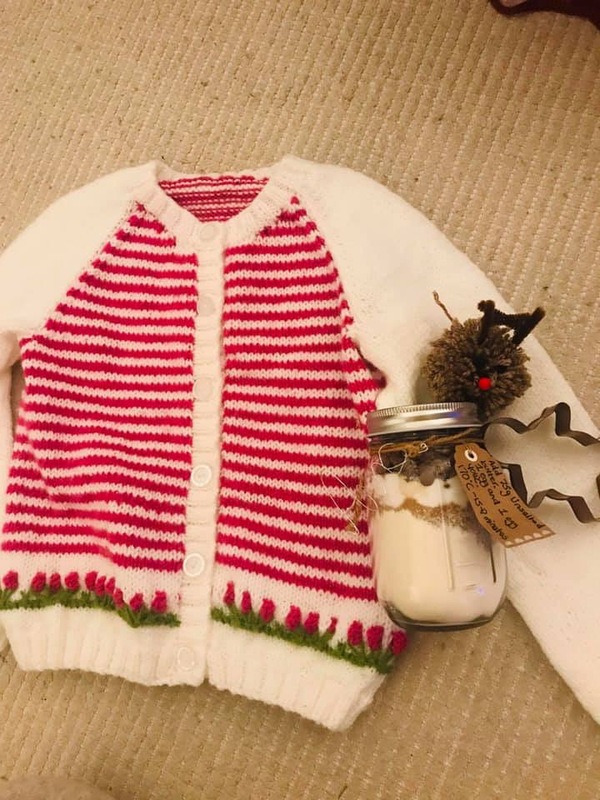 Ava and Nellie were both given matching cardigans which my Grandma knitted them and the cookie jars I made, in fact every gift I gave this Christmas I hand wired their names and they all had a pompom Rudolph. I had seen that they were baking quite regularly with their mummy so I thought this would be the best gift for them. They absolutely loved them and so did my friend their mummy. Seeing them in photos making the cookies and eating them was so lovely. Brought a smile to my face. Now of course I had to be really creative for Aurelia, not just because I wanted to make something and I needed to better the hot air balloon hamper for her baby shower, but because I saw the ideas on Pinterest and youtube and I thought it was the best thing ever. 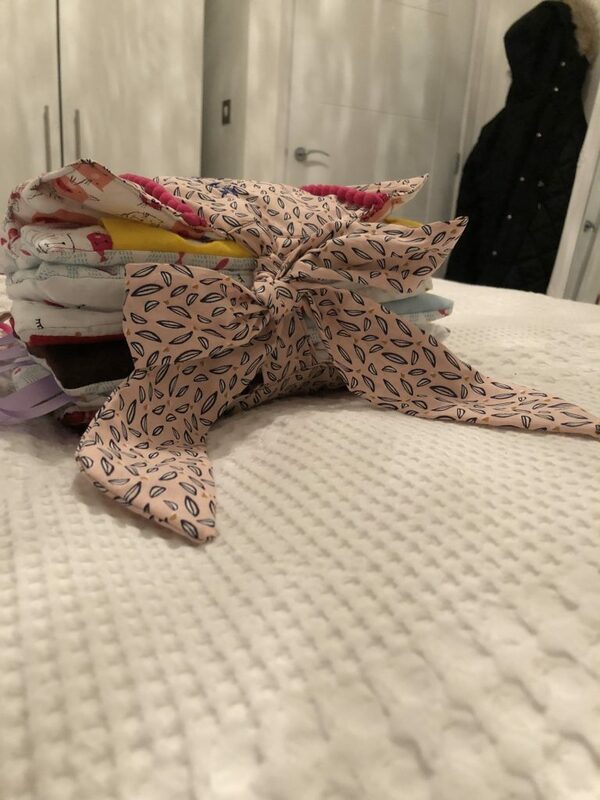 When Aurelia is at mine she loves feeling everything, she loves textures and thats why I had to make her her very own sensory play quiet book. The hard work and creativity of about 64 hours paid off when I helped her open it. It was so magical. Aurelia is 10 months old well nearly 11 but close, she loved all the book and I will show you this on Wednesday in more detail but her face and watching her play with it. Lavinia and I talking to her through the finger puppets. In fact Lavinia was filming us as we went through the pages and stopped because she was so amazed I had done this for her. Once again my love and creativity had shone through in Aurelia loving her book happily playing and Lavinia speechless at my gift. This also brings me on to my next favourite, that is spending time with my friends and family. Going out for dinner, down to the Christmas evening, having dinner and catch ups, having my nails done with my Grandma everything. I love my family and friends and catching up is the best thing. As always not sure who doesn’t really. But I loved Christmas. The kids are the age now where they are so excited and the magic is really there. In fact Alfie aged 4 thinks he is really an Christmas elf and wants a costume and ears for his birthday in February. 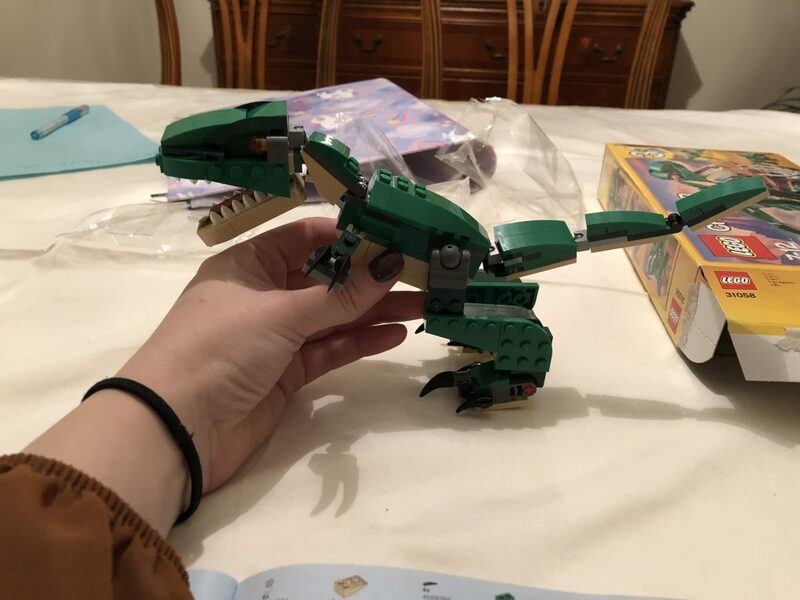 I just loved seeing them excited, playing games and wanting dinosaur lego built. Its the spending time with family, giving and receiving presents and enjoying time together. I did a lot of baking in December. I love to bake. I mainly baked Christmas themed bakes but I loved them all. The best has to be when I pretended to be Elf and delivered the cookies to my sister’s house when they were out. 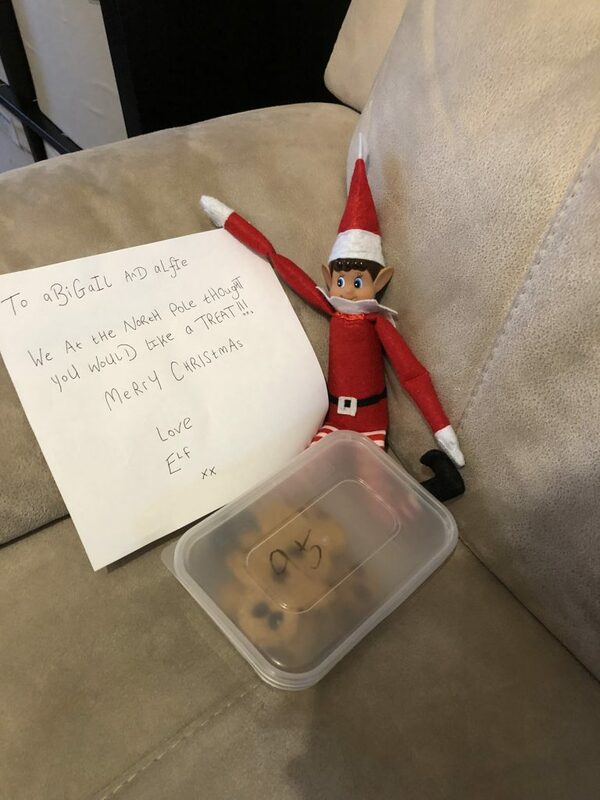 Thats probably why Alfie wants to be an Elf or thinks he is already. I have been really loving my bed now its cold out. My flat is extremely hard to heat so my bed is my warm cosy place and I love to sit there editing or watching something on my iPad. I would live in it if I could. That leads me on to my next favourite. I have been loving my sleep! Somehow and I really don’t know how but I obviously need it I have been sleeping for 12 hours when I don’t need to set my alarm. Its amazing. 10pm-10am. Its the best. It really helps me as I am still now in January and I feel amazing for the sleep. I am motivated, inspired and have energy to do things. This one makes me laugh but its true i have eaten a lot of party food in December. Not because I was out at parties even, its just because I love the food and they taste so good. Three bite size chicken Kievs equal one anyway so its all fun and games. 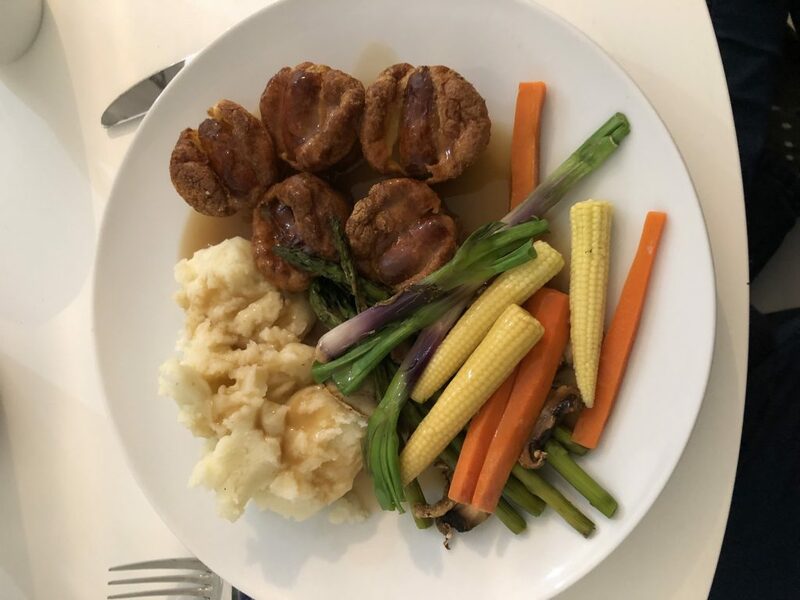 But when my bestie and Aurelia came for tea I told her we were having toad in the hole. Needless to say we had bite size ones. 5 each and Aurelia had 2. They were perfect size for a baby. As I went out or fancied doing so makeup in December I have been loving the too faced daydreamer palette. It was a Christmas gift set which is no longer available. 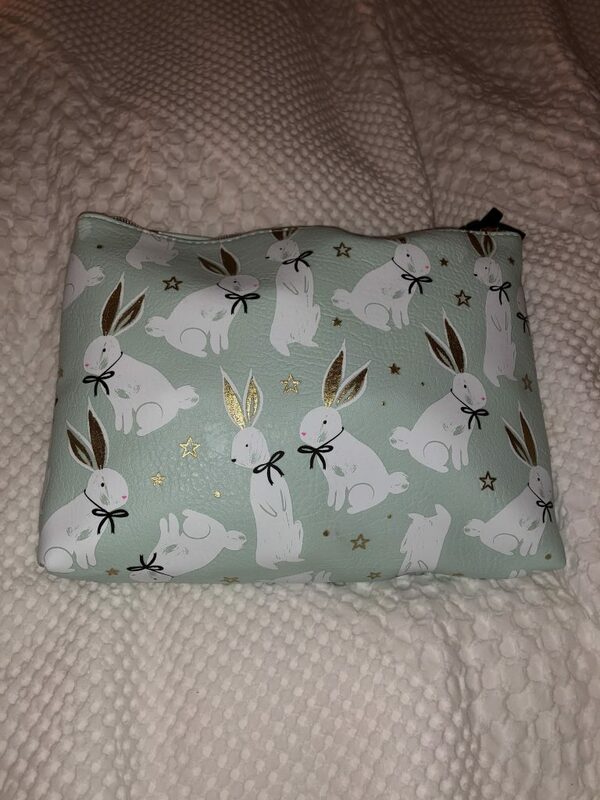 But it comes with a lipgloss and a mascara in the cutest make up bag. I got a lot of compliments on my makeup and the bag itself. Then finally for fashion I have been loving the rusty colour like in my jumper. I have to say I am going towards this colour quite often. It blends with my hair reasonably well and this jumper is cosy and warm. I just love the autumnal colouring and how rich the colour is. These are my favourites. 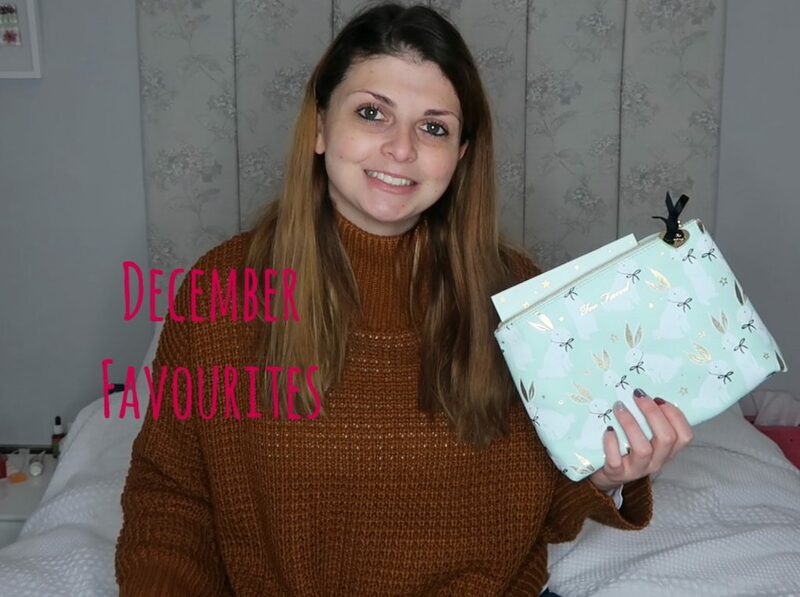 What is something that was your favourite in December? If you can’t think of one, what was your most favourite of mine?